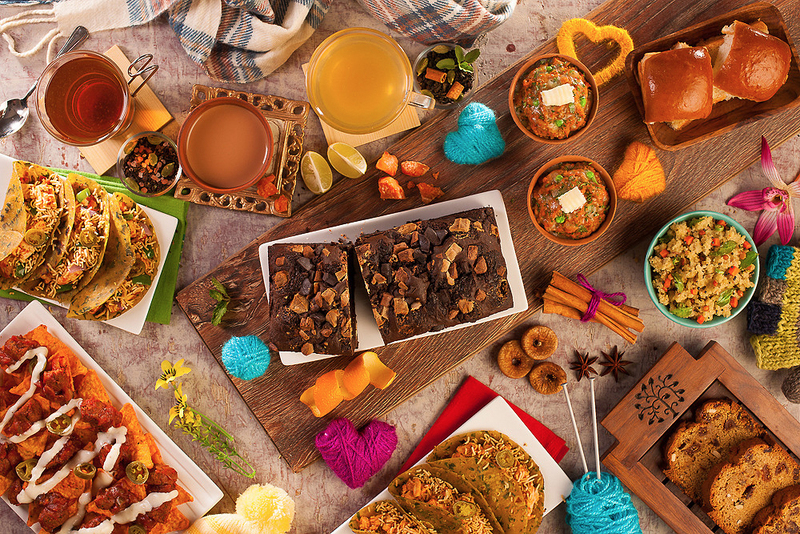 I’m a great fan of food gifts – both, home-made and store-bought. 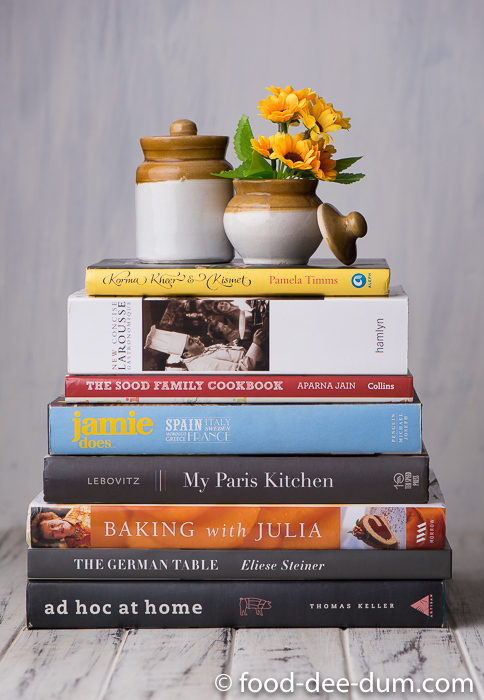 I love baking a cake or making a dip to carry to friends’ homes for dinner. Most of my Diwali gifts involve food or baking experiments, packaged in painstakingly procured boxes accompanied by diyas/candles and a card. It feels so much more personal to me. And that’s just the way I roll! A few weeks ago, my cousin Vinay and his wife Adrienne visit us from NYC and they wanted to buy a few food items to take home and also for gifts. I went out on a day-long adventure around Delhi to help them procure a few things and decided that those gift ideas deserved a post! Bear in mind that none of these come in pretty gift hampers but they are locally produced or assembled and that is value in itself. You may need to go an extra step to put them in hampers or gift-wrap them, but I promise that it will be well worth it. 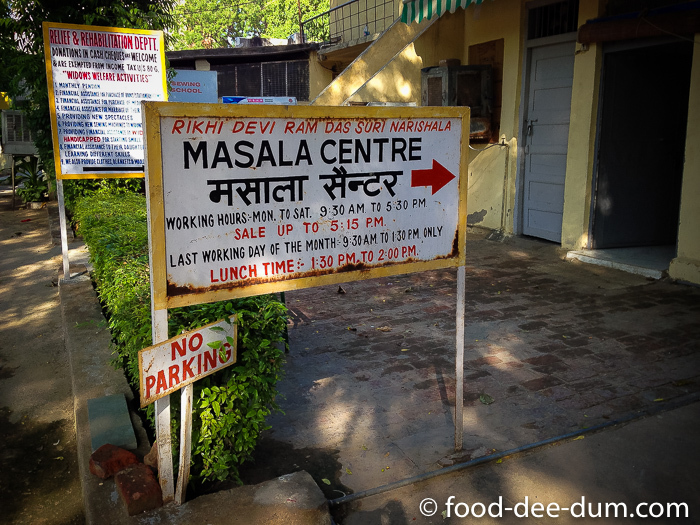 Smack in the centre of South Delhi, the Rikhidevi Ram Das Suri Narishala at Lajpat Bhawan houses a masala centre – entering which was an experience like no other for me. 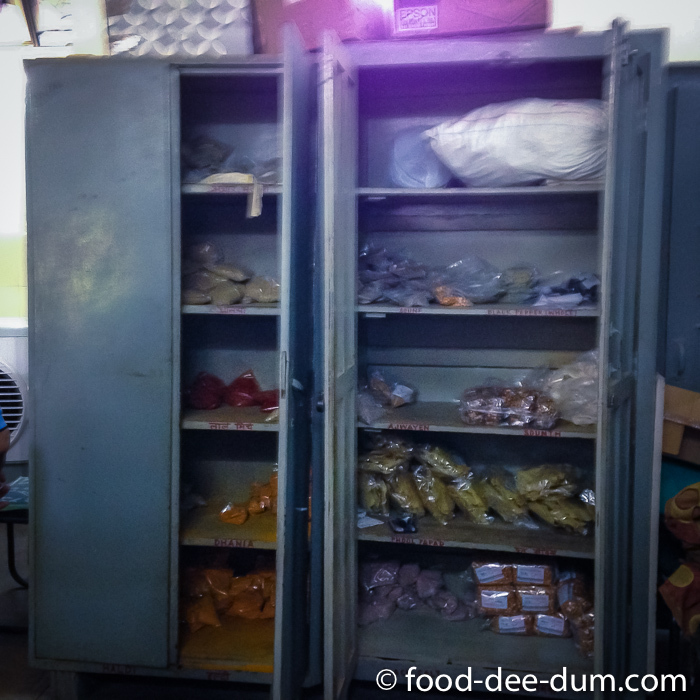 In a time when our lifestyle only has space for mass manufactured “readymade” masalas and other kitchen related conveniences, this old-world building with it’s sharp smell of spices stored in old, steel almirahs was a revelation. The centre is run by Servants of the People Society (SOPS) and employs about 20 women to dry, sort, grind and package all the masalas. They are shy and don’t like to be photographed but you can watch them at their work – the hand operated chakkis and hamam dastas are still preferred over mechanised grinding, which in itself is a treat to watch. This picture was hastily taken before we were told that photography is not allowed. But since I didn’t get any of the women in it, I decided to add it here anyway. The quality, aroma and taste of the masalas is great, price is competitive and buying from here contributes to the rehabilitation of these women as well as other charitable programmes run by SOPS. 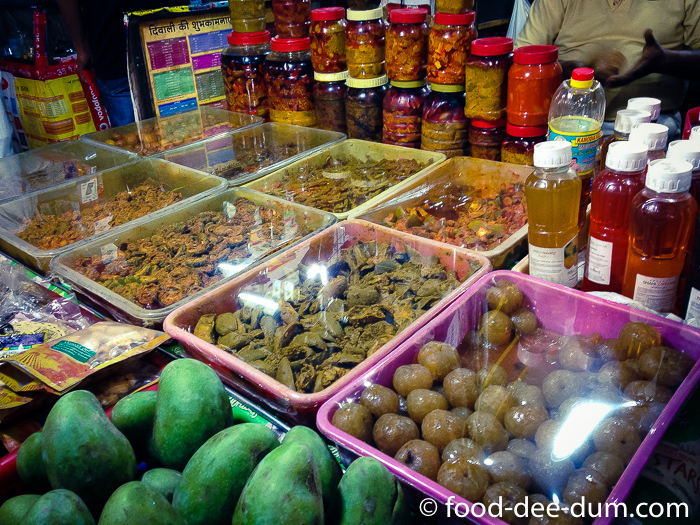 Additionally, a few other items like dal vadi, namkeen, boondi, besan, barley pearls, soya nuggets etc are also sold here. Maybe I sound repetitive, but I found this store to be a refreshing change from the supermarket pickle aisle. This shop is not the only one of it’s kind and most large markets where a lot of vegetables, groceries and household items are sold would have a shop like this. But this is the one my mom knew and sent us to. 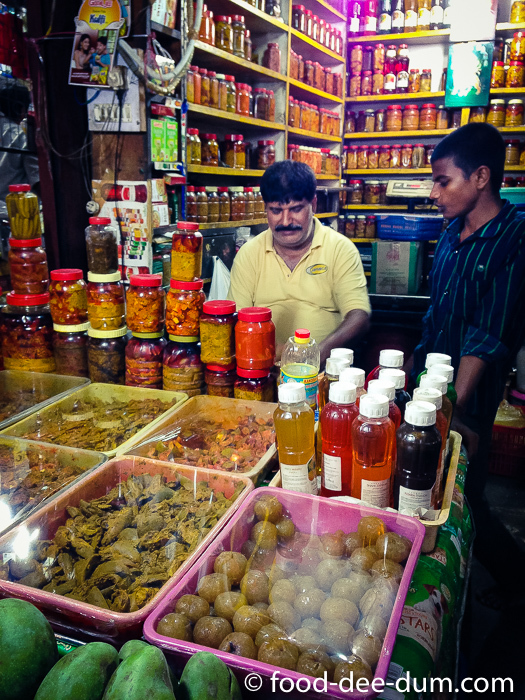 Located in Malviya Nagar Market, this shop houses a range of popular North Indian pickles like mango (more than 3-4 varieties of it), garlic, onion, karonda (a kind of berry), stuffed red chilli, green chilli, karela (bitter gourd), amla (Indian gooseberry) etc. Sold in unmarked, unbranded bottles of 200 gms each, THE Mr. Khushiram is happy to package them for you in a way that they can be checked into luggage! I know because we did that for Vinay and they survived all the way to NYC via London and Norway! 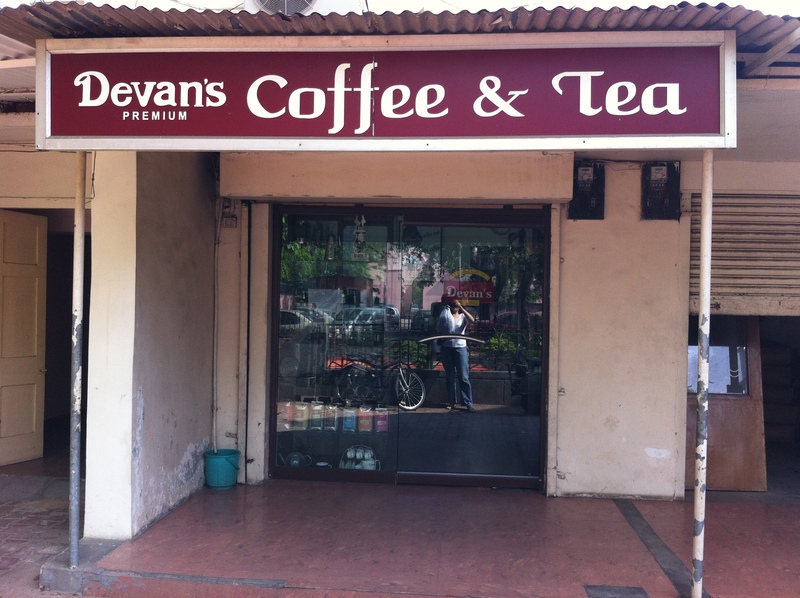 Devans has been largely responsible for the popularisation of South Indian filter coffee in the largely-tea-drinking population of Delhi. Tucked away in a quiet corner of Khanna Market near Lodhi Gardens, this (deceptively) small shop offers a large variety of coffee from South India and teas from across India. Samplers of coffee beans and teas are available for you to study and sniff while you make your decision about what kind or what blend you would like. Although the brand of Devan’s coffee beans and grounds can be found in supermarkets now, the experience of browsing through the store, discussing your options with the owner and having the beans ground fresh to suit whatever coffee-making-apparatus you have back home far exceeds simply grabbing a pack from the supermarket. In addition to tea and coffee, Devan’s also sells good quality, branded apparatus to brew your own, from percolators to stovetop espresso makers, aeropress, tea eggs, kettles etc. I promise that you will go berserk in the store if you’ve never visit it before! 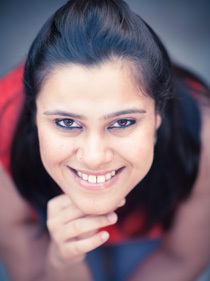 Added brownie points: they also take orders online and on the phone now, with Cash on Delivery options. More added brownie points: they now ship internationally too!